North East Provincial Council Deputy Chief Secretary and Additional Secretary for Provincial Rehabilitation Ministry Mr. K.Mahalingam declared open the new MPCS modern retail branch. 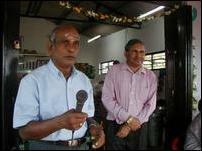 Provincial Commissioner of Co-operatives Mr.E.Ilankovan, TEEDOR Trincomalee district head Mr.Tharman, LTTE leading activist in Trincomalee Mr.Iynkaran and Trincomalee's Assistant Commissioner of Co-operative Development Mr.K. 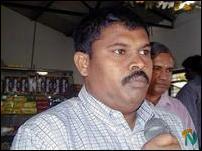 Balasubramaniam also graced the occasion. 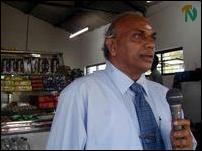 Trincomalee MPCS President Mr.P.Jegatheewaran presided over the event. 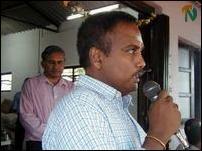 MPCS General manager Mr.T.Balagengatharan outlined the objectives of the institution in opening its branch in Kanniya. Mr.Balagengatharan said all the urgent basic needs of the resettled families would be fulfilled through the newly opened branch. Trincomalee MPCS laid foundation for the reconstruction of its branch in Kanniya in October last year. 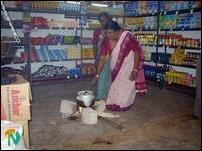 Within four months it completed a modern retail outlet and a store to purchase paddy from the resettled farmers. A milk-collecting centre would be opened enabling farmers engaged in animal husbandry to dispose their produce at a good price. Farmers would be provided with fertilizer and agricultural materials at a reasonable price, MPCS officials said. The paddy-purchasing unit of the MPCS would purchase the produce of Kanniya farmers at the government price. All the guests present at the event said that the opening of the MPCS would induce the other IDPs living in camps to return to the village without any delay. 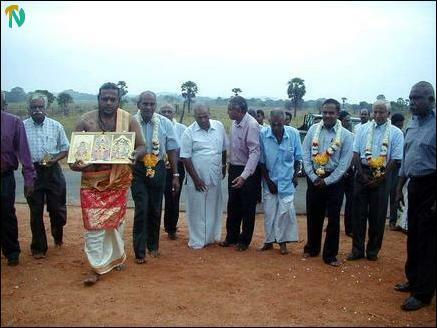 Before 1990 more than one thousand Tamil families were living in Kanniya. In the 1990 violence all the families fled from the village and sought refuge, majority of them in Liberation Tigers held Vanni region. All houses and the MPCS branch building were razed to the ground due to military operation. With the signing of ceasefire agreement by the United National Front government and the LTTE, up to now about one hundred and fifty internally displaced families have returned to the village. 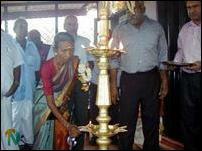 The Kanniya Tamil School was reopened last year after twenty years with about fifty students. However resettled families have been undergoing severe difficulties in obtaining their basic needs for their day-to-day living and also materials for the paddy and other farming needs. They are forced to go to Trincomalee town to purchase their provisions and other materials, as no such facilities were available in the village.